Established in Denmark more than 140 years ago, Louis Poulsen is an international manufacturer of designer lamps with an impressive range embracing iconic classics and innovative, contemporary designs, for private and professional use. 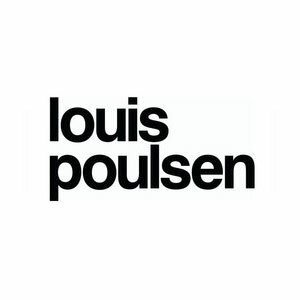 Throughout the years, Louis Poulsen has worked closely together with world-famous designers and architects such as Poul Henningsen, Arne Jacobsen, Verner Panton, Vilhelm Lauritzen, Øivind Slaatto, nendo/Oki Sato, Shoichi Uchiyama and Louise Campbell. A large proportion of Louis Poulsen's products have been developed in connection with specific projects. The designer lamps have thus come into being as solutions to specific lighting assignments. Behind every Louis Poulsen design is the story of its creation and the refinement of the designer's idea and vision of light – all in harmony with Louis Poulsen's lighting philosophy based on the principles developed by Poul Henningsen in the 1920s. The philosophy is founded on the concepts of function, comfort and ambience and is an essential cornerstone throughout the history of Louis Poulsen and the unique and comfortable lighting solutions. Louis Poulsen currently employs 420 people at its factory in Vejen in Jutland, Denmark and its head office on Gammel Strand in Copenhagen, Denmark and showrooms in cities including Stockholm, Tokyo, Oslo and Los Angeles.